01.06.2015. Roland Garros, Paris, France. 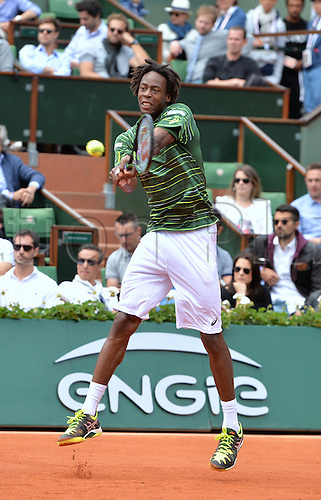 Day nine of the 2015 French Open 2015 in Paris, France. Gael Monfils (fra) versus Roger Federer (sui). Federer won in 3 sets 6-3 4-6 6-4 6-1.